Our guardian angel protects and guides us throughout our lives. When you find your guardian angel, you can ask your guardian angel for assistance at any time, their divine purpose is simply to help you. Some experts believe that we have more than one guardian angel and can even have as many as three guardian angels. So if you have always felt additional loving angelic beings around you, you may be one of the lucky ones who have more than one guardian angel! Your guardian angel is more than simply your guide; they are also your friend and closest companion. You will be connected with your guardian angel throughout your entire life. You can count on your guardian angel for any type of help that you have a need for. They are there for you when things are dark, cold and lonely in times of crisis and need. Your guardian angel is also there for you to celebrate your life and experience times of great joy, such as your wedding day or the birth of your children. This very special angel will walk right beside you every day. Some may feel their guardian angel's presence with them, or simply know that they are there. When you feel a strong sense of peace, calm and love, you know this is your guardian angel. Others are simply inspired to do things, such as taking a different route to work and missing a traffic jam, or walking into a new place and running into an old friend. This is for sure your guardian angel hard at work, helping on your behalf. Call upon this angel whenever you have any type of need. This angel can help you with matters of the heart, family, work, abundance and success. Your guardian angel knows you the very best, as they have been with you all along. There is something about simply talking to your guardian angel that can make everything feel better. Many believe in guardian angels, but have never asked their guardian angel for assistance. Try asking your guardian angel for help with something and you'll simply be amazed at how easily and quickly things seem to come together for you. Even asking for little things like a parking space or for finding the right item while shopping. That is your guardian angel at work for you! Find and get to know your guardian angel- you'll be glad you did! Congratulations! 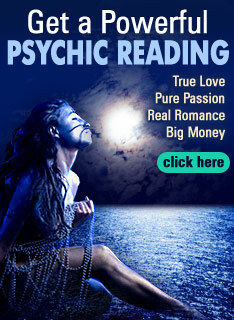 You are eligible for a FREE READING! Click to Get POWERFUL advice RIGHT NOW! I am here to appreciate the good work and to make it known to the general public how i locate my helper who is Dr Boadi Herballist. I have been having misunderstanding with my husband which leads to divorce some few years ago, But i was unable to move on with my life because i have so much love for my husband and my kid love him too. I heard about (boadiherballist@yahoo.com). online some few days ago and i decided to contact him for help and he told me what i need to do which i did i was so surprised when i got a call from my husband apologizing to me and told me he is at the door step on his kneels waiting for me to come forgive and accept him back as his lovely wife, it all seems like a dream to me thanks to Dr Boadi Herballist, i am back with my husband again and i am so happy. What's the purpose of "guardian angels?" I mean, rally, now, come on, give me a break! So someone is in a horrible automobile accident but they happen to survive. They're left complete vegetables, paralyzed from the neck down, never to recover. But may we "thank the angels" that this one survived so that they may live the remained of their days in sheer misery. Use some frigging logic people. There are NO angels. If there were such frilly little sprites twittering around the cosmos, do you think that they'd give a poop about you? Angels are merely products of vivid imaginations. People with greater intellects readily reject all spirituality as rot. Do you still want to meditate and "connect with" Tinkerbell now? When I contacted Ekaka, I was in a complete mess. My love life had gone completely down the drain, and it looked absolutely HOPELESS. If it hadn’t been for ekakaspelltemple@yahoo.com careful advice and his precious spells to relieve me of the negativity around me, I would have never been able to keep going, and I wouldn’t have a boyfriend, either. Now I do! He’s a guy I already knew from work, but had never “thought of him that way,” at least not until Ekaka cast his spell to show me the way. He is the best. He saved me! !